Cut the fish into strips. Mix the flour, curry powder & pepper together and place in a bowl. Put the egg white and breadcrumbs in separate bowls. 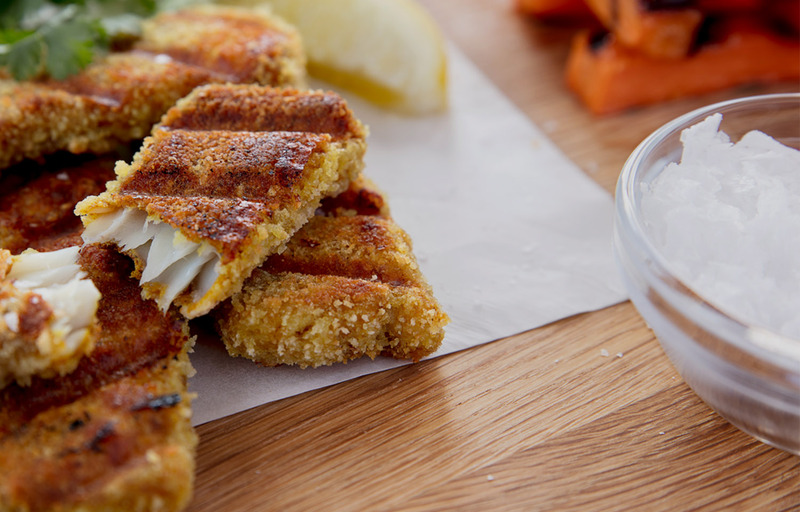 Firstly, dip the fish goujons into the seasoned flour, then into the egg white & then into the breadcrumbs until well coated. Place on a pre-heated grill for 3 minutes depending on thickness.